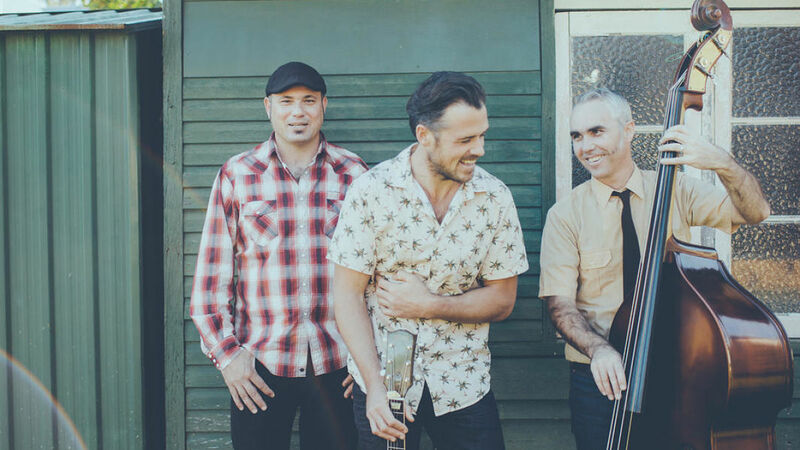 Warren Earl Band are American Roots with a combo of Western Swing, Rockabilly, Jazz, Rhythm & Blues! Crossing the line of today’s music into swinging blues and real rock n roll, Warren Earl Band bring a live package of top of the class guitar licks, twin guitar harmonies and take off guitar solos along with a captivating deep voice. Featured at festivals such as Falls, Mullumbimby Music Festival, Splendour In The Grass, Garterbelts and Gasoline, Cooly Rocks On, Out On The Weekend Festival, Brisbane Gangster Ball, Blues On Broadbeach. Known for his top of the class guitar playing Warren Earl is re-creating the lost sounds from the likes of Bob Wills to Blind Boy Fuller with a diverse set list and dynamic approach. With an obsession in music from the 1920’s – 1950’s Warren Earl began studying guitar from several great performers at 10 years old and once picking up the guitar he found it hard to put down. At twelve years old Warren had his first paid performance, playing finger style guitar like Merle Travis and singing Johnny Cash hits. Warren Earl has vast repertoire of original music, some where he played every instrument on the album. Sure to get the crowd hopping, Warren has recorded two albums with a 1950‘s authentic sound, his latest album ‘Slipin Out’ now available. Stay tuned for the next chapter. Warren Earl Band are currently based in Byron Bay, heading to the US for their next tour.